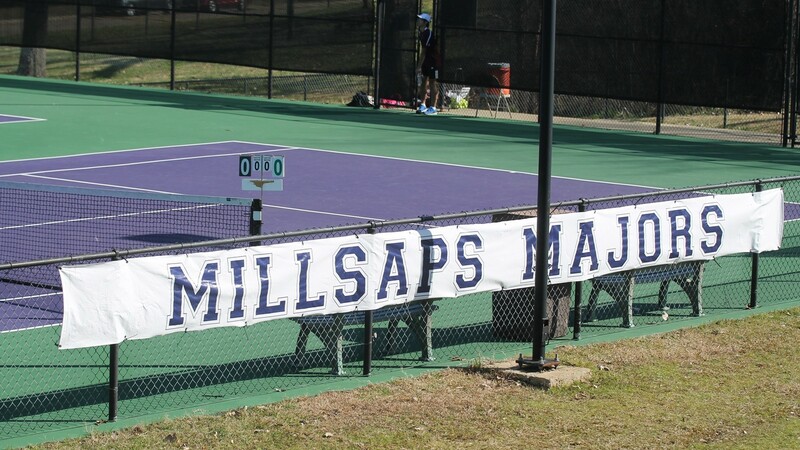 The Majors men and women’s tennis seasons kick off with home meets the second weekend in February. The women will get things started on Feb. 10 against Centenary College and Tougaloo College. The men follow on Feb. 11 as they take on Tougaloo College, University of Mobile, Centenary College and Blue Mountain College. “We have high hopes for the season. Our goal each year is to improve and do better than we did the previous year,” head coach Jason Box said. The men’s team ended last season ranked fifth overall out of eight teams in the Southern Athletic Association. “The men made it to the semifinals of the conference tournament last year, so a trip to finals would be great,” Box said. He would also like to see the men rise in the rankings this year. As for the women’s team, they ended the regular season in third place out of eight teams. “We’re excited about the opportunity the team has as we only graduated one player [from the women’s team] this year,” Box said. Box is excited about his roster of players for the upcoming season. “At this point we don’t know which players to look out for. Both teams have strong players returning from last year, and we have also added some nice new players who we feel will compete for spots,” Box said. This year, there are no seniors listed on the rosters for either the men or women’s teams. The players will have a lot of opportunities to grow and develop over the next two seasons. Box also mentions some key matches both his teams will face this season. “The SAA Tournament is always the biggest weekend in our season. However, we do have a couple of other highlights throughout the season which include our spring break trip to Hilton Head, South Carolina and a home conference weekend against Center and Sewanee in April,” Box said. The SAA Conference Championship will be held April 21-23 in Arkansas Park, TN, and the home conference will be April 8-9. Check out the teams’ schedules and rosters at gomajors.com for more information.